Who is the third highest wicket-taker in the Indian Premier League? If you're surprised that the answer to the above question is Piyush Chawla, you're unlikely to be the only one. 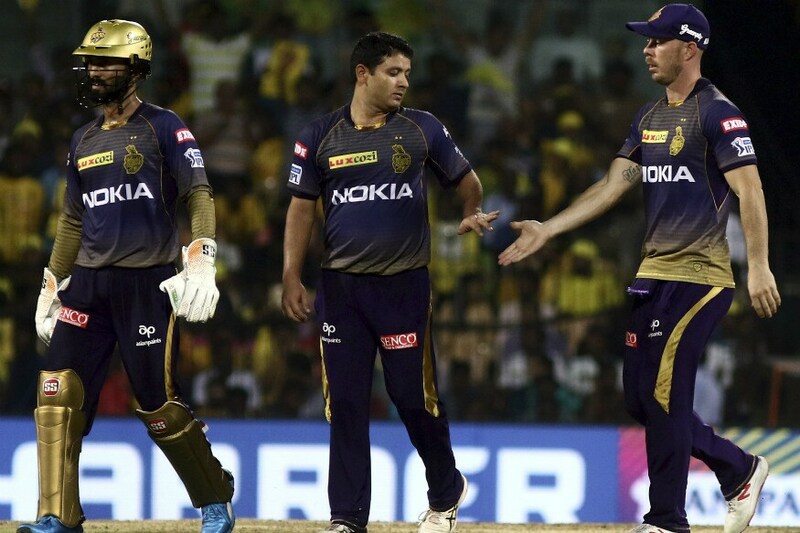 The Kolkata Knight Riders legspinner has been a constant feature in the tournament through its 12 years, and recently became only the 11th player overall to play 150 IPL games. He has 144 wickets from 149 innings at a fairly acceptable economy rate of 7.70, and a strike rate better than Harbhajan Singh, R Ashwin and even team-mate Sunil Narine. Chawla is just 13 wickets away from the man who leads the IPL wicket takers charts, Lasith Malinga with only Amit Mishra (149 wickets) in between. Considering each bowler who is currently in the top five - the two others being Dwayne Bravo and Harbhajan - are at least 35 years old, Chawla, who is 30, has a fairly decent shot at the top spot in the future. "I knew I was somewhere in the top five. Thanks for telling me I'm in the top three now!" Chawla tells CricketNext. "I don't think too much about what is the highest wicket tally and who is the highest in the list. I just focus on my work, which is the most important thing. I don't think about what people are doing around me, who is getting wickets and who is not. I just focus on what I can do to help my team win." Yet, Chawla's numbers have almost gone unnoticed. The spinner has largely slipped under the radar, silently playing a key role in KKR being one of the successful franchises in IPL. Does he feel he's underrated? "I know what I'm doing on the field, my records just speak for that," he says. "Underrated...well, it's not about underrated because when you play for just two franchises (other being Kings XI Punjab) in 12 years, it means you've done really well somewhere and that's why they are showing faith in you. When you stay in a franchise for that long, it means you've done something well for them, only then they'll show the trust in you. "So I won't say underrated. Maybe there is no hype because I'm not too much into glamour or doing stuff after getting wickets. If you see, if I get hit for a four, I smile and walk back. I get hit for a six, I smile and walk back. I get a wicket, I smile and walk back. Maybe because of that. That's my personality. I'm like that since the beginning." One of the reasons for the lack of 'hype' around Chawla in the IPL is that his wickets graph is a steady one, without drastic peaks. His best season in terms of wickets was the inaugural one in 2008 for Punjab, where he got 17. Since then, Chawla has had three seasons with 11 wickets each, and two seasons each with 16, 14 and 12 wickets apiece. 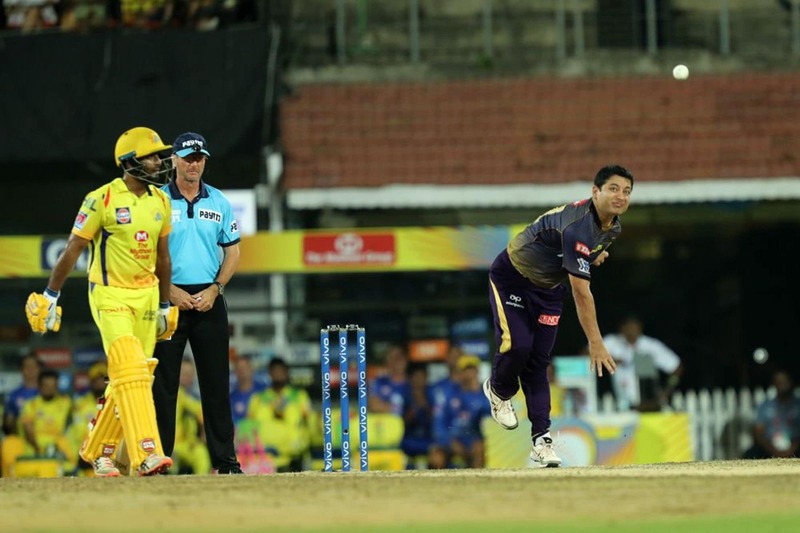 Through it all, Chawla has played second fiddle to Sunil Narine. The two were the leading wicket-takers for KKR the last time they won the trophy, in 2014; Narine got 21 while Chawla picked up 14. 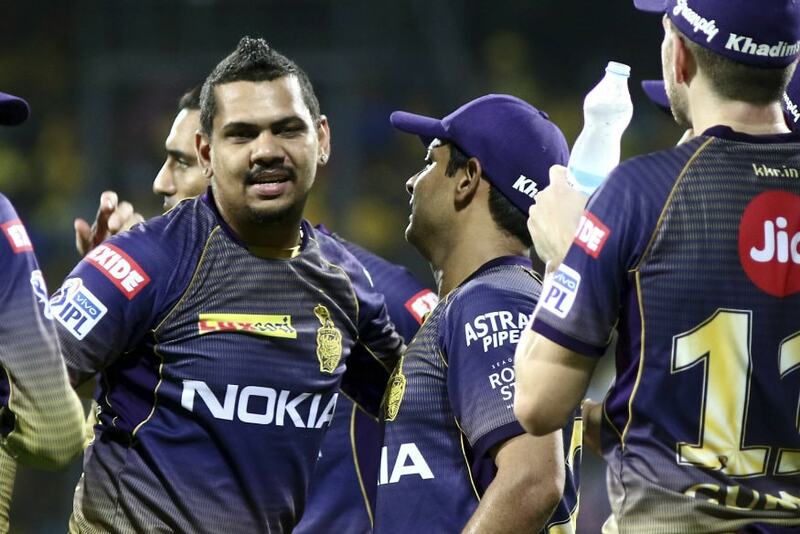 Over the years, Narine has rightly been the more celebrated spinner in KKR, with 115 wickets from 103 matches. The presence of Narine has largely overshadowed Chawla's supporting act, but it has been just as equally important for the side. In fact, Narine and Chawla have very similar numbers since the latter joined the side in 2014. Chawla has 60 wickets for KKR from 63 matches, while Narine has picked up 69 wickets from 72 matches in the same period. "He's (Narine's) a personality who doesn't talk much. The way he looks on the field, that's how he is off the field also. It's the same," explains Chawla. "The good thing about him is that whenever he comes in to bowl, in Power Play or the slog overs, he's very calm. No matter if he gets hit, or if he gets a wicket. So he's very similar to my kind of personality. We just focus on the job. Since we have a similar kind of personality, we end up gelling well and make a good spin pair." Chawla's role in KKR has changed slightly in the last two seasons, with the emergence of Kuldeep Yadav in 2017 and a change in leadership with Dinesh Karthik taking over from Gautam Gambhir in 2018. Chawla is now predominantly used as a Power Play option, with Karthik trusting his former Under-19 teammate to do the tough job. Under Gambhir from 2014 to 2017, Chawla bowled only 11 overs in total in the Power Plays. In six seasons with Punjab prior to joining KKR, Chawla bowled only 14.5 Power Play overs. Last year alone, Karthik used Chawla in the Power Play phase in 22 overs. In six matches this year, Chawla has already bowled nine overs in the Power Plays. Interestingly, Chawla has marginally better numbers in Power Plays than outside. "As a legspinner and a wrist-spinner, you're bowling most number of overs in the Power Play. Somewhere it shows the confidence that the captain is showing in you. On the other hand, as a cricketer, I have to believe that when the captain is showing confidence, I have to do something special as well. Thankfully, till now I'm doing a decent job in the Power Play and would love to keep that going forward," says Chawla on the changing role. Outside of the IPL, Chawla's career is one of two contrasting halves. The first half saw plenty of peaks. He came into spotlight when he bowled Sachin Tendulkar with a googly in a Challenger Series match before he made his first-class debut at 17. He made his Test debut in the same year, and went on to be a part of sides that won the World T20 2007 and World Cup 2011. He even played county cricket at 20, for Sussex. All that changed in the second half, and Chawla hasn't played for India since December 2012. He tried to make a comeback by turning up for Somerset the next season, but that wasn't to be. Chawla made a switch to Gujarat from Uttar Pradesh in 2017-18, after playing just two matches in the previous season. There were speculations that it was because of Kuldeep's emergence, but Chawla shot them down saying the move was because pitches up north were unresponsive. Across two Ranji Trophy seasons for Gujarat, Chawla has picked up 52 wickets from 14 matches. These are good times for wrist spinners, and one of the most experienced among those has not given up yet. "In the first half, I played for India and everything went really well. After that too, I've done decently well. But there are a few things that are not in my control," says Chawla. "That is selection. If you see, in the last three-four years, I've done decently well in first-class cricket. I guess there are very few players in India who are playing currently and have around 900-odd professional wickets. I think I'm one or two bowlers with that. "Things are going really well...the IPL and first-class cricket. Yes, it's been six and a half years since I played for India, but it's not like I'm too old to make a comeback. I'm just 30. But people have been watching me for so long that they think I'm old. But I'm still just 30. There's always hope as a cricketer than I can make a comeback. In the last two years for Gujarat, across formats, I've picked up more than 100 wickets which is a big number. "Age... we have a lot of big examples like Mahi bhai, Harbhajan Singh, the way he is bowling. As long as you stay fit, age is just a number. Fitness obviously plays a big part, nowadays cricket has become so demanding that you have to keep fit. I just make sure I'm in the gym every day except match days. I've become more mature as a bowler and have more experience. I'm working really hard on my fitness as well, I'm looking a different Piyush Chawla on the field now. You never know when you'll get a call, you should always be prepared for that."